If you haven’t heard of South by Southwest, you’ve been missing out. For those of you who don’t yet know, South by Southwest (or SXSW) is an annual meeting of film, interactive media, music festivals and everything in between that is held in Austin, Texas in Mid-March. 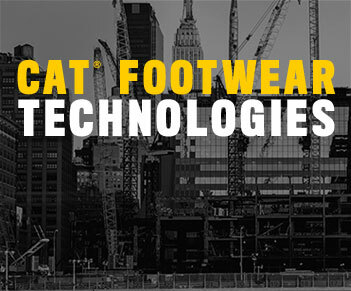 Cat Footwear will be there at the SXSW Marketplace, a pop-up style trade show of sorts that features dozens of local, national, and global brands. 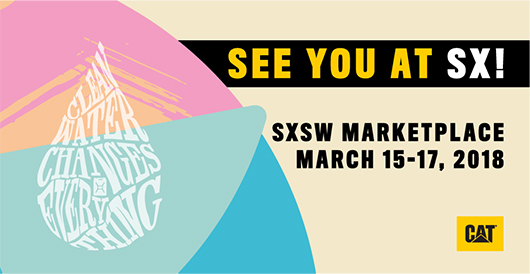 SXSW Marketplace is open March 15-17 to all badge holders from around the world. We will be hosting a space with charity: water, a non-profit organization bringing clean, safe drinking water to people in developing nations. charity: water helps to bring awareness to large issues about water and their mission is to bring clean drinking water to every person on the planet. Clean water can improve health, increase access to food, grow local economies and help kids spend more time in school. In Africa alone, women spend 40 billion hours a year walking for water, and they are responsible for 72% of the water collected in Sub-Saharan Africa. Come say hi. Our booth will help explain more about the great things charity: water does and how you can get involved. We will be hosting a “water walk”, where you can carry two jerry cans weighing up to 40 pounds down a small walkway to experience a small portion of what it’s like to walk for water. 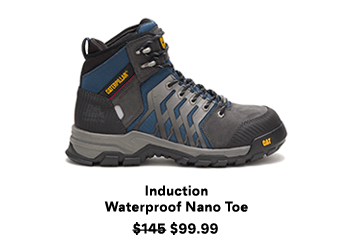 Everyone who experiences the walk for water at SXSW through the water walk or VR participation will “unlock” a donation, made by the Caterpillar Foundation, that will bring clean and safe drinking water to one person. We, in partnership with the Caterpillar Foundation, will be launching a campaign with charity: water at SXSW and as a part of the campaign, the Caterpillar Foundation will donate up to $250,000 by the end of 2018 to charity: water. 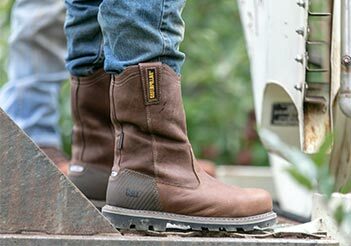 Throughout 2018, we and the Caterpillar Foundation will continue to promote our efforts for clean water for the rest of the year, including promotions at our 171 Cat Monobrand Stores around the world. 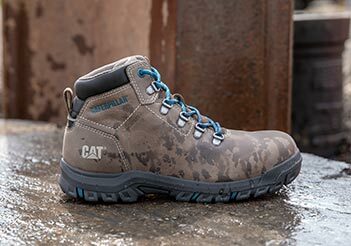 Stop by the Cat Footwear booth to grab some cool temporary tattoos and experience the walk for water!